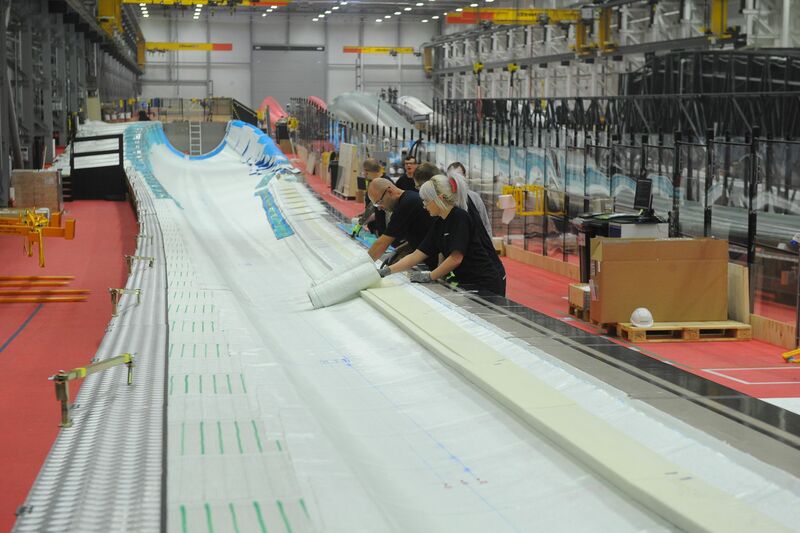 Siemens Gamesa has announced it will create bigger turbine blades – the largest of their kind in the world – to meet growing market demand. 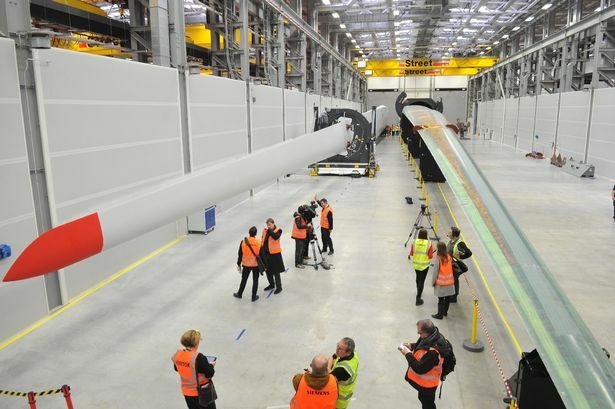 The renewables giant currently produces 75m blades, one of which went on display in Hull city centre early last year. The company, based at Alexandra Dock, will increase its blade size to 81.5m from 2020, as market demand continues to rise. Andy Sykes, head of operational excellence, said: “It has stemmed from commercial demand – the bigger blades are more economically viable. “They are capable of generating more power, and for customers a bigger return. Wind can offer a competitive and compelling story for electricity prices. Siemens Gamesa will start producing the larger, 81.5m blades in 2020. The company has confirmed its order book is full until 2022, as the region cements its place as being at the centre of the wind industry. Mr Sykes said “several million pounds” worth of modifications would have to be made to the factory and equipment to scale up in order to create the larger blades. Currently, offshore wind power around the UK provides up to 7.5 gigawatts of power. It is hoped in the future the figure could surpass 30GW. 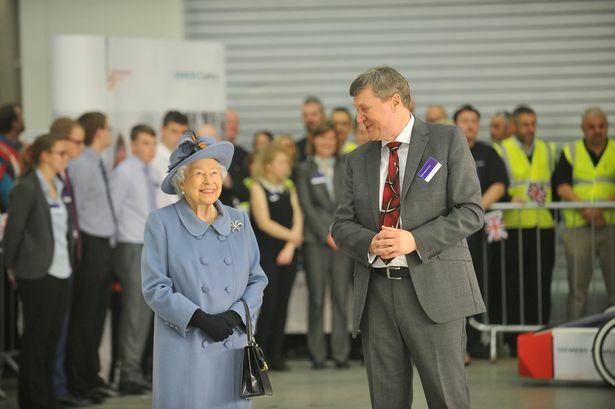 “One of the reasons we chose our site here was not because of what it offered us in the present day but what it could offer us going into the future,” Mr Sykes said. “There is room for expansion, and we will need to be creative in the factory with how we adjust how we do things to build the bigger blades. The factory in Hull started its operations in September 2016. 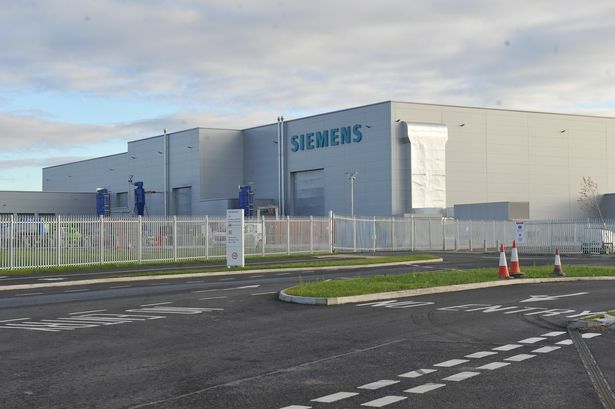 Today, Siemens Gamesa employ around 1,000 people at the Hull factory. Blades are built almost entirely by hand. Moulds are used to create the blades, which are constructed using balsa wood and fibreglass. Mr Sykes said he was unsure of estimates on how big blades could be produced in a single mould. He also said the existing 75m blade turbines which are operating out in the North Sea will not be replaced with the newer, larger blades until the end of their operating life. News of Siemens Gamesa’s future plans and continued commitment to the region comes as Hull host the National Offshore Connections Conference. The event is being held at the DoubleTree by Hilton today and tomorrow, and brings together industry leaders from across the UK.